Sorry that I'm not asking on the forum topic.Help identify this detail.The box is packed in the warehouse, and the documents are lost. Possibly early wifi antenna or a receiver for a White Fi system. This system uses the space between tv channels to transmit internet connection. OP original language, mods feel free to delete if not acceptable or close thread. Sometimes Russian to English and vice versa can tricky going through Google. Возможно, антенна с ранним Wi-Fi или приемник для системы White Fi. Эта система использует пространство между телевизионными каналами для передачи интернет-соединения. I suspect it is a license control dongle. Some expensive pieces of special software used to require a piece of hardware plugged in, to ensure you paid for the software and didn't pirate it. That looks pretty old. Who knows what software it is for, though. A DB25 serial port caps out at a couple hundred kbps data rate. 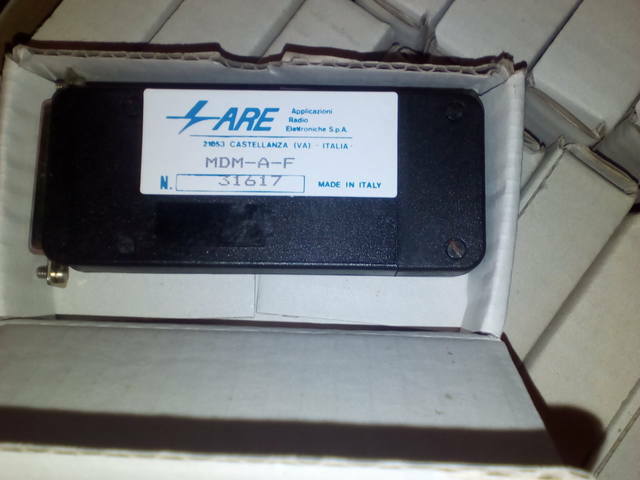 It might be a wireless serial receiver, possibly, those were used in industrial control applications sometimes. I think that you need to break one box and see what chip there is. With such data we identify more quickly. I think its a simple rf link, that substitutes for an RS232 cable. You need two of them, that are matched up two the same frequency pair. Maybe a dip switch inside. The software protection dongle usually had two connectors, so you could still use it, as a serial port. With a logic analyzer, I decoded one of these in less than an hour. They didn't put too much effort into designing it. I had an electrical construction estimating program with dongle. It just connected in series with the printer. The gadget in the picture looks rather large to be a dongle. Can you post any pictures of the INSIDE of the box? Otherwise, the best you may get are wild guesses. I spent some time looking on the web, nothing at all popped up. Any more info on the carton? or the box? I understood my task. As I get to the warehouse, I'll definitely open the case and take a photo session. P.S. A little distraction from temy.Posmotrite what we have a beautiful winter. Another radio receiver saved from recycling. Alpinist-407 (translation from the Russian "Mountaineer" model 407)released to the 1980 Olympic Games in Moscow. I suggest installing the unit on a desktop computer and exploring the device with the computer's software. At the end of the video there are still elements VFU PROM CCA for identification. With those screw terminals. Now I'm thinking "short-haul" modem. threeneurons, do I understand correctly? 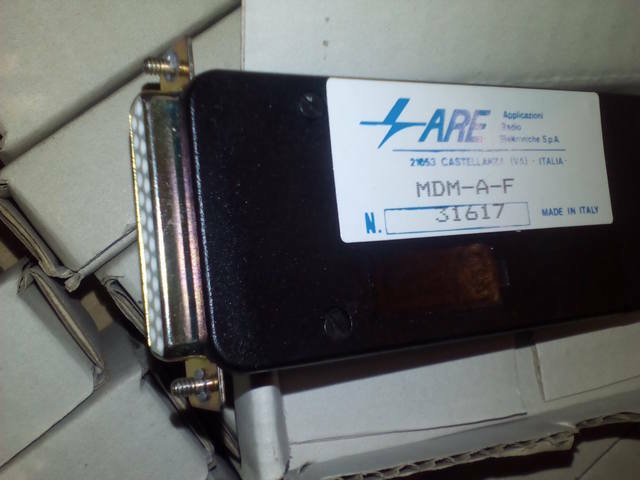 A short-haul modem might be required if the base computer is located at a distance greater than the practical limit of 50 feet for standard serial RS-232 cables. However, the requirement for a physical wire connecting the computer and receiver limits the usefulness of using a short-haul modem to distances usually shorter than their intended limit of approximately 4 miles. A reason for this is that the transmission rate is a function of distance with maximum data rates of 19200 bps being achieved over distances of 1 mile or less.